As dynasty owners putter about the interwebs discussing short shuttle times and dissecting the nuances of the Dominator Rating, Devy owners are intently watching Spring Practices and eyeing key positional battles. 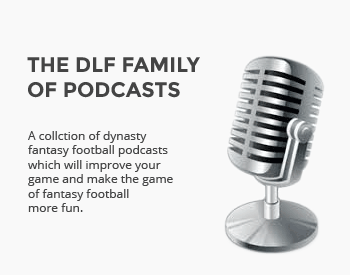 They say dynasty football never sleeps, but devy football never even rests. From Signing Day (both of them) to fall camp, devy calendars are chock-full of important dates. The Devy 100 is a breakdown of some of the best collegiate talent around. Players will be missed; others will emerge. My rankings will be cursed from Juneau, Alaska to Key West, Florida. Yet hopefully it provides a modicum of assistance to those navigating the murky waters of deep leagues, struggling to identify their tenth round selection as they decide between Auburn’s third-string running back and an incoming freshman receiver at Ohio State. Without any further inane ramblings, on to the list. The Skinny: Despite a late surge, including a win over sinking rival USC, it was a largely forgettable first season for Chip Kelly. But don’t put those failings on Josh Kelley’s shoulders. The former transfer walk-on was a revelation in 2018, and Kelley’s weaving ways were a blessing for an offense undergoing a major transition under the former Oregon head man. While shiftiness is Kelley’s game, he possesses a competitive mentality as a runner, refusing to cede yardage to ill-intentioned defenders. I question whether Kelley’s overall toolkit translates to a major role at the next level, but he planted himself on the radar and still has plenty of room to grow despite being a seasoned collegiate back at this point. 2019 Outlook: The Bruins figure to have more offensive playmakers in year two of the Chip Kelly Era. But this is still Kelley’s offense. The Bruins are going to be young in most spots, making Kelley’s 252 total touches from 2018 the baseline. Playing the late games for a rebuilding program is sure to cause Kelley to continue to be overlooked, but a truly special season could be on tap in 2019.